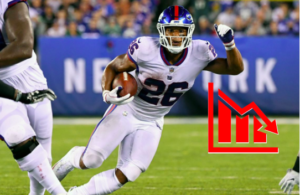 Week 7 saw production from its top studs in Todd Gurley and Adam Thielen, but owners who rostered Zeke got burned thanks to a disappointing 6 point performance. A lot of the cheaper WR plays that were popular picks flamed out in disappointing starts, as the value showed to be with the cheap RBs like Nick Chubb after the trade opened up a bigger role for him. This week might be the same with some valuable lower priced backs, and a slew of top receiving talent in plus matchups. As nice as spending up for Patrick Mahomes would be, I love the spot for Rodgers facing the Rams on the road. Green Bay finds themselves as big underdogs, meaning Rodgers should have to throw a ton throughout the game to keep it close. Rodgers should also be getting more weapons back receiving wise, and I can see a 30+ point performance on the horizon. The Tampa Bay QB has torn it up since his return from suspension and being named the starter. He scored 26 DK points last week despite not throwing a single touchdown pass (sure he had a rushing one) and the offense has virtually no running game. Should be a pass heavy affair once again facing the Bengals that were just bent over by Mahomes. His trio of receivers is one of the NFL’s best, and while Kerryon Johnson is starting to break out, he’s still not getting bell cow work or touch numbers. The Seahawks aren’t the same defense we’ve grown accustomed to with the Legion of Boom, and Stafford at home generally has better splits than when he has to travel. 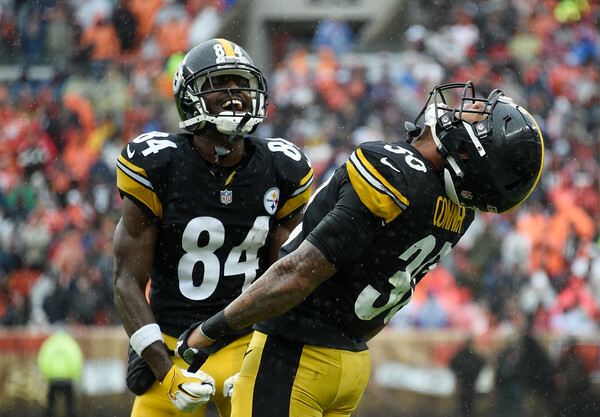 Le’Veon Bell was supposed to return from his holdout this week, but still isn’t showing in Pittsburgh so Conner will have the reigns once again facing the Browns. He torched them to the tune of 38.2 points in Week 1, and as long as he’s operating as the lone back he’s well worth his price especially after back to back 30+ point performances. Hunt is another guy riding the hot hand of back to back 30+ point games as he’s overcome his slow start to the season. What’s gotten his season going is increased use in the passing game, and converting catches into touchdowns. Hunt now faces the Broncos who have been SHREDDED on the ground in recent weeks. Both Jets Isaiah Crowell and Rams Todd Gurley went for over 200 rushing yards in Weeks 5 and 6, so Hunt should have no problem putting up big numbers. 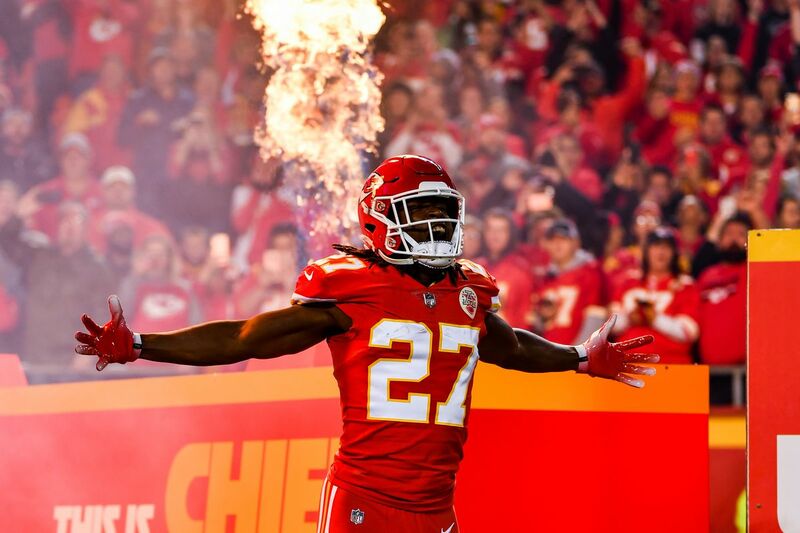 With Royce Freeman battling an ankle injury and looking unlikely to play, Lindsay is going to be unleashed against the Chiefs. He’s clearly the more explosive and dynamic of the group as he’s been a weapon in all facets of the offense. This game should be one of the more high scoring ones, and with Lindsay to see more touches for Denver his chances for a big game only increase. Operating under the assumption that either Matt Breida is out for Week 8 or seriously limited, Mostert could be an absolute steal this week. He’s shown explosive ability, and is looking at a dream matchup against a weak Cardinals run defense. He’s one of the top waiver wire guys this week and could allow roster flexibility for top tiered receivers. Another cheap back to potentially target, Crowell benefits from the injury to Bilal Powell looking at more touches. His streak of every other week big performance was snapped against the Vikings, and while the Bears may not seem like a great matchup, New England carved them up as Sony Michel came bustling out of the gate pre injury. The Bengals stud wideout has seen his target share increase over the last three games after the early breakout by Tyler Boyd. Green was the only real offensive option for Dalton last Sunday against the Chiefs as he garnered 14 targets for a 7-117-0 line. A date with the awful Bucs secondary should be a smash spot for Green this week. Aaron Rodgers’ top target has greatly benefitted from the numerous wide receiver injuries in Green Bay. 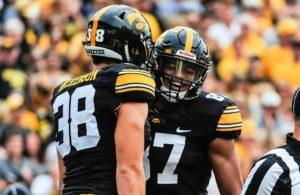 Adams has racked up 19 catches for 272 yards and 3 scores on 28 targets the teams last two games as they’ve been throwing a lot in catch up mode. That game script should continue against the Rams. One of the top WRs this season, Sanders has dominated out of the slot with Case Keenum. He had a quiet performance last time against the Chiefs, but he’s been the heart beat of this offense and clearly the guy they need to get the ball to in order to have success. The Chiefs corners can be beat, and Denver is likely to be playing from behind in this one. Kenny G was shafted last week after a 69 yard touchdown was negated by a Lions penalty. 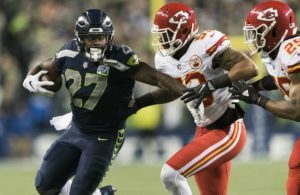 He had either scored, or topped 100 yards in every game except one this season, and was challenging Golden Tate for the team’s top receiving threat. He’d make for a great stack with Stafford this week, as Richard Sherman and Earl Thomas aren’t walking through those doors this week. With the recent departure of Amari Cooper to Dallas, targets will be opening up in the Oakland offense. When Cooper struggled mightily last year with his lack of touchdowns, Roberts was a common vulture in the Raiders offense ripping off some long touchdown catches. Roberts has 13 targets his last two games and has established chemistry with Carr. If I’m to take a chance on a low receiver this week, Roberts is my guy at home against the Colts. He had his way with the Denver defense earlier in the year, and now at home and Mahomes rolling, Kelce and the Chiefs don’t show any signs of slowing down. After starting the year so hot, he’s fallen back down to Earth in his last three, making him a great progression candidate to explode once again. Riding the hot hand, Njoku continues thrive with Mayfield at the helm. He’s been a red zone monster and has been the second receiving option behind Landry with the lack of other Browns receivers. This should also be a high scoring game playing with Pittsburgh. Big Vance has been a mack truck in the open field as defenders struggle to bring him down on initial contact. That’s racked up the extra yardage once he’s shedding tacklers, and has been getting healthy target numbers in the offense. Cleveland was a flow chart defense last year for tight ends. The Bears vaunted defense has shown some cracks in the armor the last two games, but a home game against the Jets could bring them back to elite territory. Darnold has flashed his good side, but he’s still turnover prone and the Bears need a huge bounce back game. Sure the Chiefs defense isn’t spectacular, and Denver possesses some talent that can exploit them. However, when looking for defenses it’s best to find teams that will go up with a lead, which leads to more passes and the possibilities of sacks, interceptions, pick sixes and really any turnover. Chiefs should go up big time against Denver, and Case Keenum has played pretty poorly. The Steelers should be the popular defensive play this week, as Cleveland and Mayfield have surrendered plenty of sacks and points to opposing defenses. For a defense this cheap playing at home, it’s going to be hard to pass on them. Do you have any early leans? Questions about which guy you should go with this week? Want to yell at me for missing an obvious play? Sound off below or hit me up on Twitter where you can follow for daily news or advice on players.